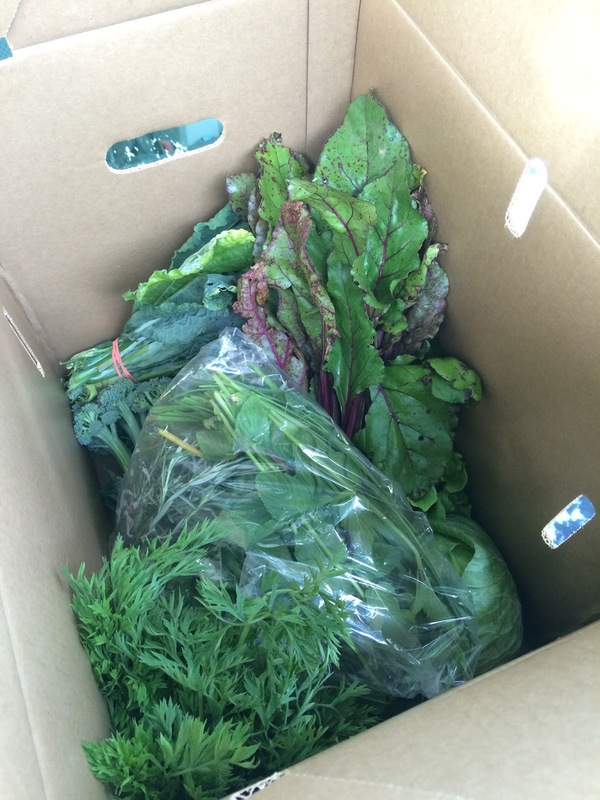 My 3rd CSA box has been my favorite so far! It may seem a little strange to blog about each item in the box every week, but these boxes are beautiful, and I'd like to encourage everyone to support their local farmers! Plus, it's a great snapshot to see what's in season in Arkansas. First up is a bag of herbs. 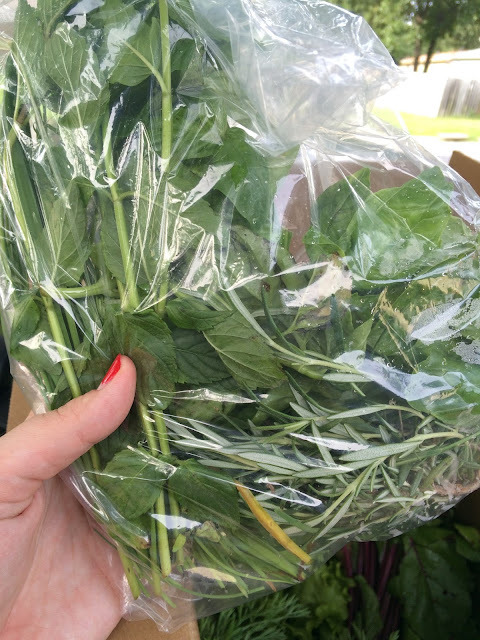 There was mint, rosemary, chives, and basil. 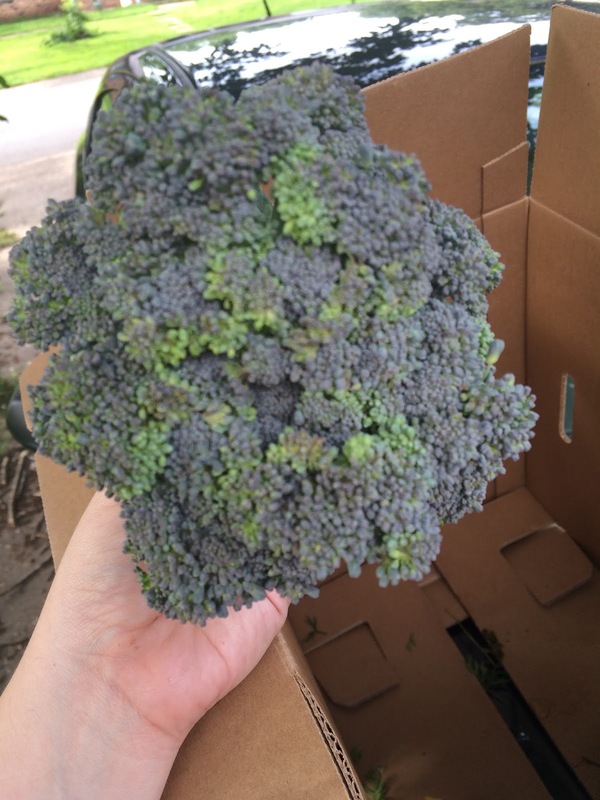 Next up was this beautiful bunch of dino kale. It absolutely has to be my favorite kind. I can't wait to steam this up with some beans and call it dinner. 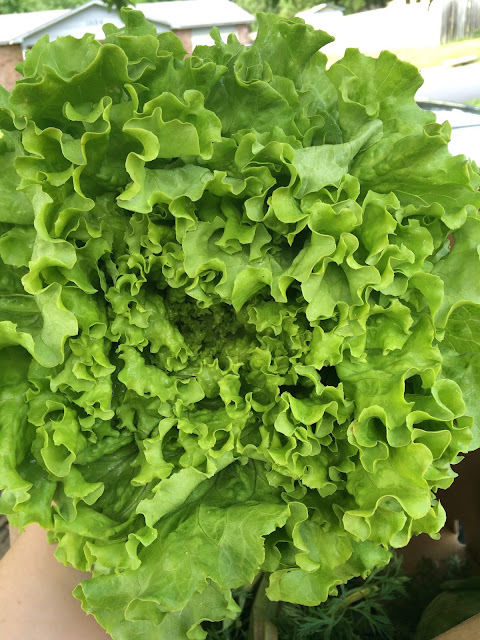 We got a stunning head of lettuce. It's going to be excellent in my lunch salads this week. 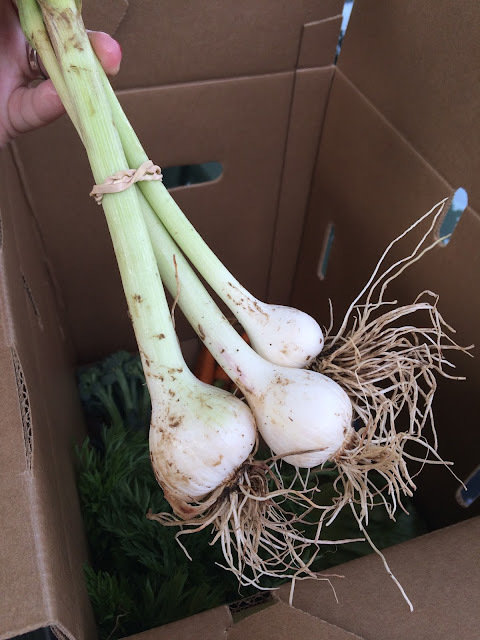 Green onions are always a good thing! 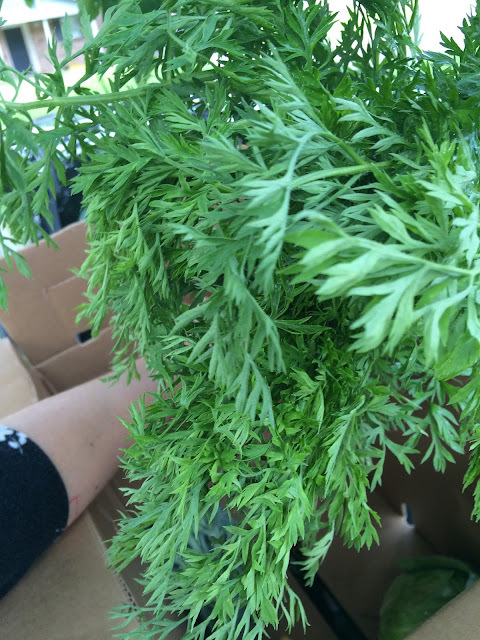 Oh happy day... it's carrot season! These lasted all of a day before they got cut up for a beautiful soup and salad that I'll show you on Friday. 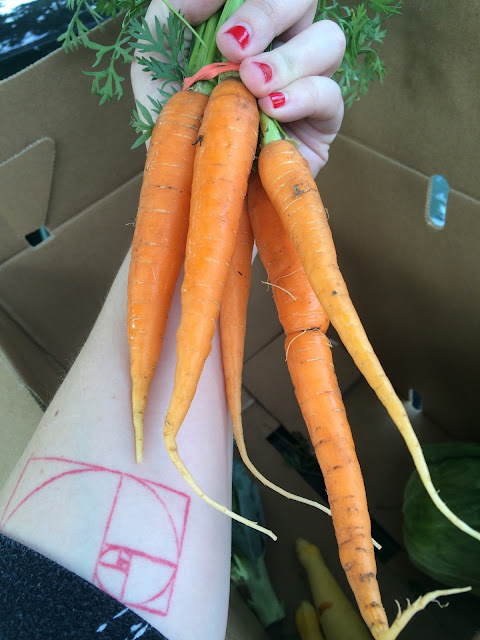 I love carrots, if you couldn't tell. 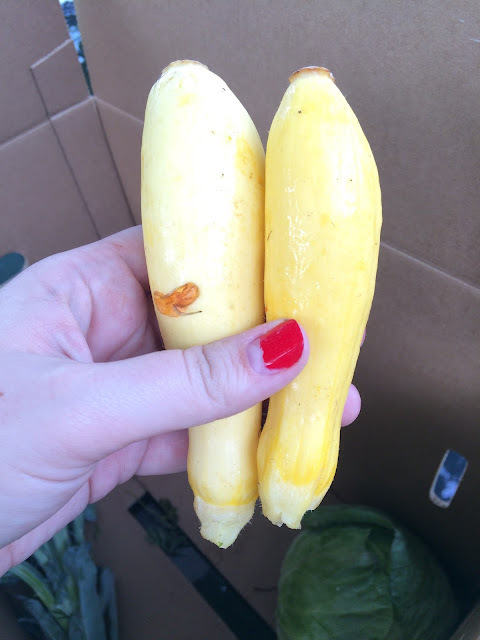 These two little baby summer squash were in the bottom of the box. They'll be sliced up later this week for a raw pad Thai. 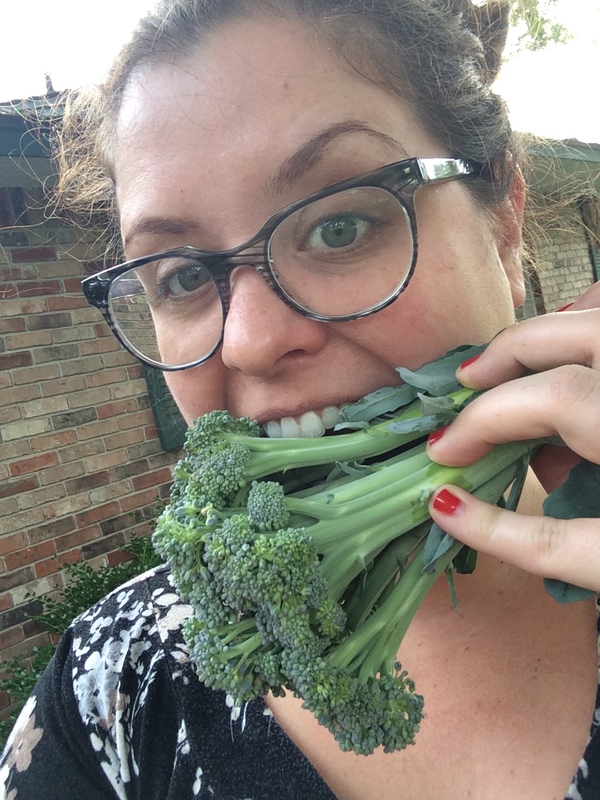 I almost ate the broccoli right out of the box. 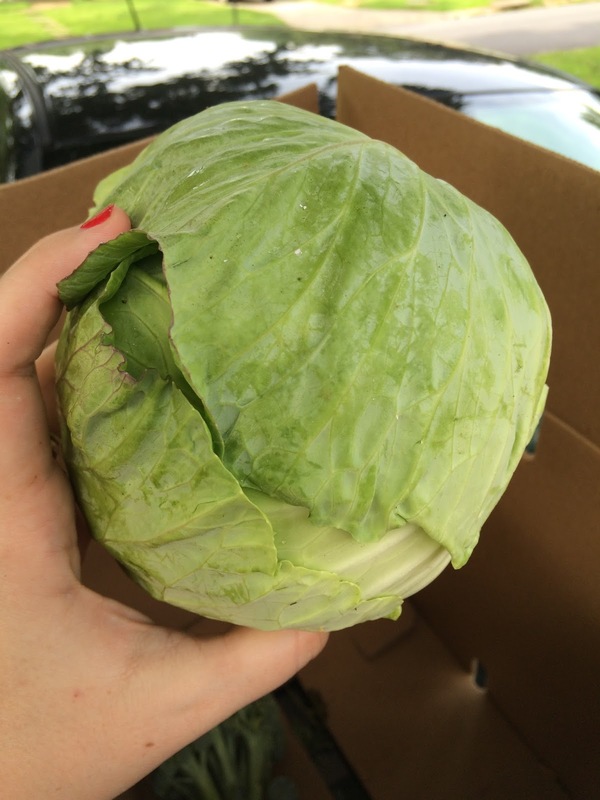 This head of cabbage looks great, too! I can't decide if I want to make coleslaw or tacos. 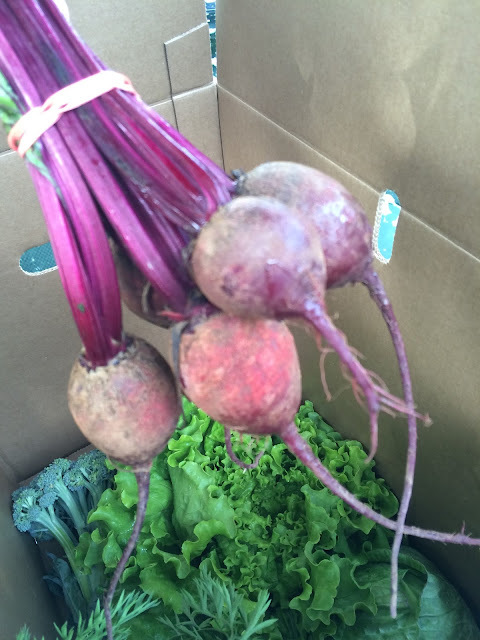 Lastly, I struck up a conversation with a very nice girl handing out the boxes, and she threw in some extra beets! I can't wait to roast them up and throw them on a salad. That's the box for this week. I used a ton of ingredients for a picnic we had lately, and on Friday I'll show you guys an amazing vegan lunch using my CSA goodies. Yay! Carrots are my fave! 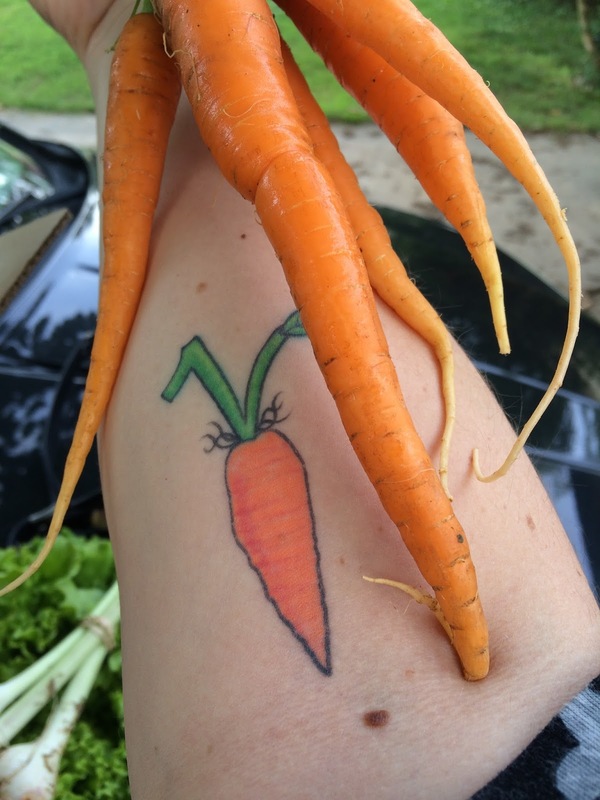 Also, love your carrot tat!!! Thanks! :D I got complimented on it twice this week, which is weird, since I've had it for years. It's my favorite. Everything looks so fresh and amazing! 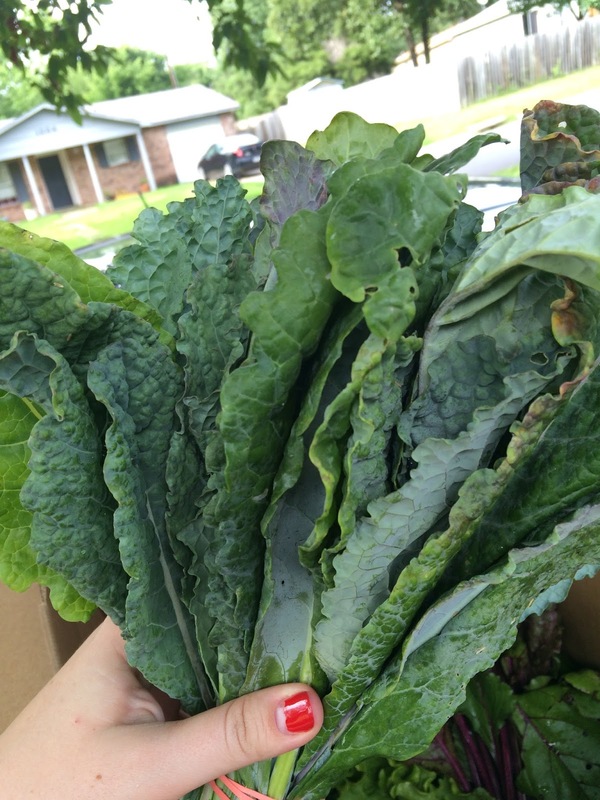 Dino kale is definitely my favorite variety of Kale!